A draw to the death! 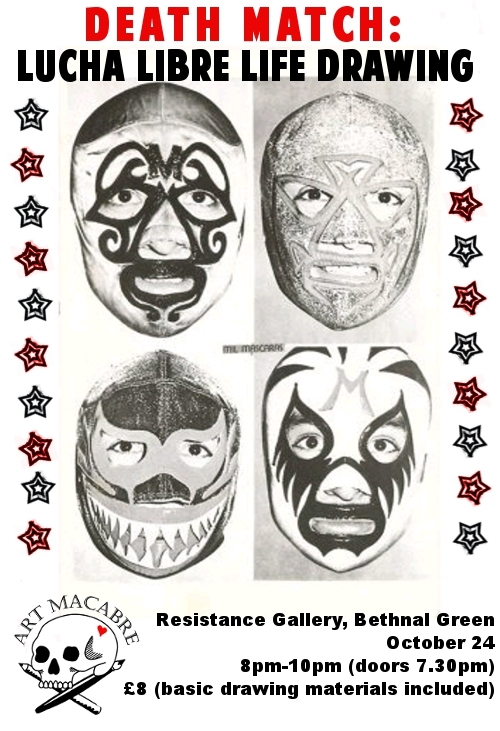 Tomorrow, Art Macabre forms a deadly tag-team with Lucha Brittania to bring you a thrilling wrestling themed salon! Check out the event info here. Secret identities most definitely welcome.